This week's value is 'To be kind'. Other than giving in charity, can you think of simple, everyday ways of being kind? 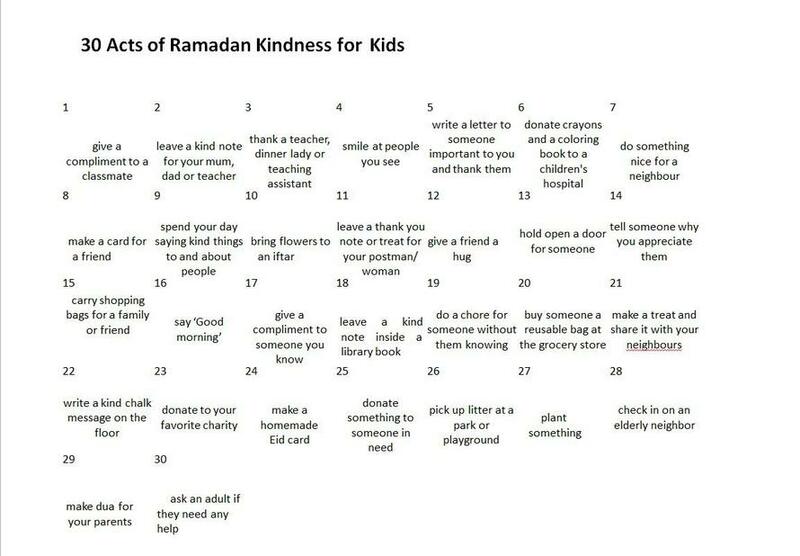 Mr. Asghar's Ramadhan kindness calendar may help you!